Jordan Yerman left a farmer’s market at Pacific Central Station nearly a year ago with Funnel-Web, a potted spider plant, balanced on the handlebars of his bicycle. 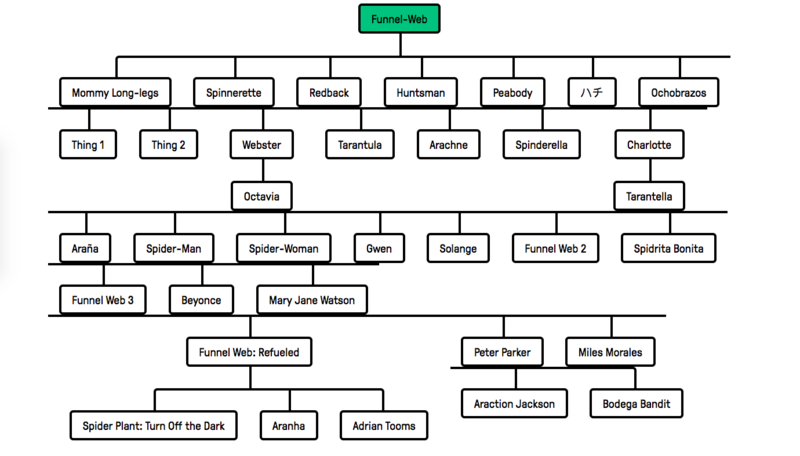 Since then, Funnel-Web has propagated 34 new plants that have found homes throughout Vancouver. This spread was made possible by Inside Green, the passion project of Sue Biely, a Vancouver consultant and plant enthusiast. In the year and a half since the project began, Inside Green has fostered about 1000 plant shares in Vancouver. 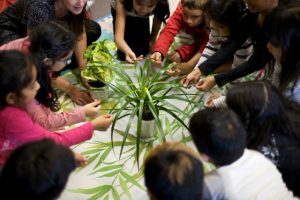 The project aims to reconnect Vancouverites with nature and their communities by growing and sharing houseplants. Biely wants to put a plant in every Vancouver home. “What would happen if we gave [people] a piece of nature and said, ‘Here, this is a gift and you are now directly in a relationship with a piece of nature?’” said Biely. The idea for Inside Green stemmed from Biely’s fear that people have become increasingly separated from nature. 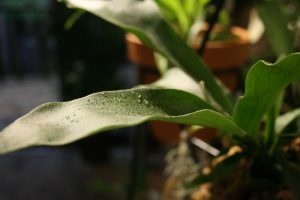 She hopes caring for houseplants will help people see their relationship with the environment as symbiotic. “We are in a codependent relationship with the planet, we just pretend we’re not,” said Biely. 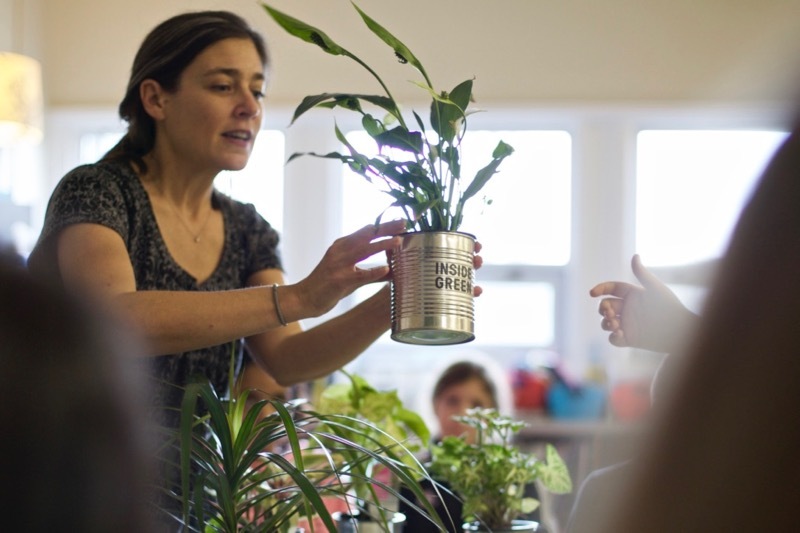 Inside Green encourages members to propagate and give away their plants, so the project’s growth is completely in the hands of the members themselves. Inside Green participants are called stewards and there are a number of ways they can receive their first plant. If Biely has enough plants on hand, she gives stewards a four–inch seedling. But the demand for plants usually exceeds Biely’s personal supply. Inside Green also gives plants away at farmers markets, festivals, offices, and schools. Plants are also propogated and shared by fellow Inside Green members. Once a steward has a plant, Inside Green provides them with information on how to care for the plant, and how to eventually propagate and gift the plant to a new member. The database keeps track of plants in the Inside Green system that have been propagated and where they have been gifted. The plantcestry maps lineages of plants and records how they connect biologically to one another. The data reveals that plants have spread far and wide across the city, with Inside Green’s most prolific plant being the aforementioned spider-plant named Funnel-Web, with 34 offspring in the city. When Jordan Yerman brought Funnel-Web home, he had no idea how many propagations the plant would yield. Yerman wasn’t new to growing plants when he got involved with Inside Green, but it accelerated his interest in the practice. Biely’s interest in the plantcestry doesn’t end with tracking the biological connections between plants. She thinks the system has to potential to reveal more about how citizens interact with their communities and how communities interact with each other. Inside Green encourages stewards to connect and share with each other online through storytelling. Some share their plant-growing experience, while others write about their plants’ personalities. Staghorn ferns are commonly grown on wall mounts, which make them a popular houseplant. Inside Green is currently contained in Vancouver, but Biely is eager to expand the project. Biely sees the implications of the project extending beyond the living room walls of Inside Green’s stewards. She hopes growing a houseplant might be the first step for many urbanites towards a more thoughtful and considerate relationship with the planet. Biely thinks Inside Green’s environmental efforts differ from larger environmental movements by focusing on what participants can add to the environment. “A lot of environmental projects are: ‘Stop doing this, don’t do that, don’t eat this, don’t buy that,’” said Biely.